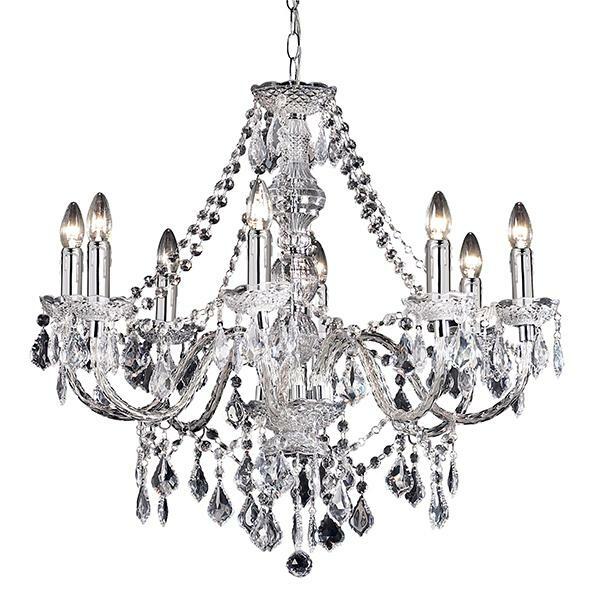 The Clarence Chandelier range is alluring and simply exquisite. This 8 light chandelier with clear acrylic beading, facets and droplets. Comes with a fully adjustable chain to extend the drop of the light up to a maximum 1.8m. Available in a choice of sizes.